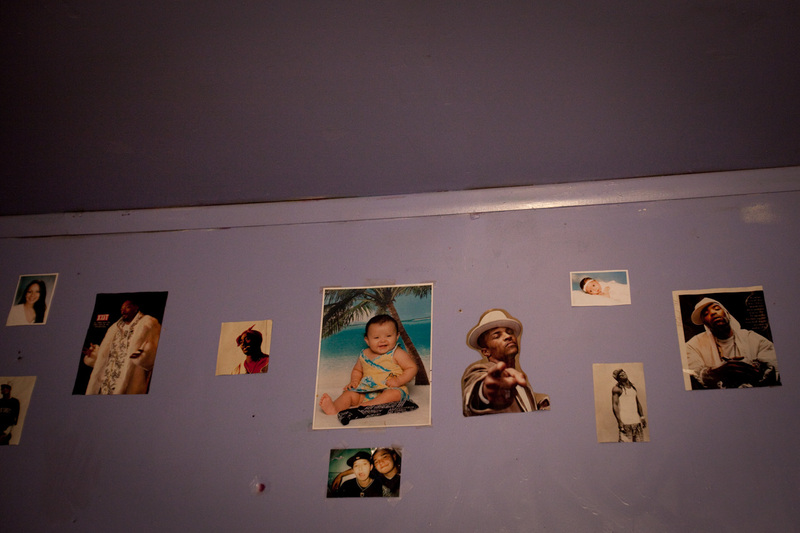 Posters of rappers surround family photographs in June Wilson's room. June, 17, lives on Pine Ridge Reservation with is family without running water and finds escape in rap music. Gang violence on the reservation is at an all time high and has created a dangerous environment for young people to grow up in.